Craig Carlson was the last person anyone would expect to open an American diner in Paris. He came from humble beginnings in a working-class town in Connecticut, had never worked in a restaurant, and didn't know anything about starting a brand-new business. But from his first visit to Paris, Craig knew he had found the city of his dreams, although one thing was still missing-the good ol' American breakfast he loved so much. 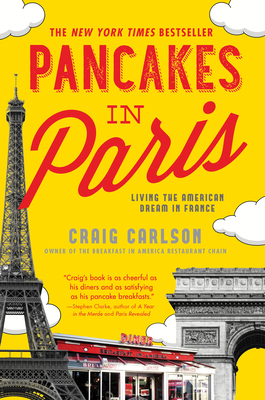 Pancakes in Paris is the story of Craig tackling the impossible-from raising the money to fund his dream to tracking down international suppliers for "exotic" American ingredients... and even finding love along the way. His diner, Breakfast In America, is now a renowned tourist destination, and the story of how it came to be is just as delicious and satisfying as the classic breakfast that tops its menu.